The following story is posted for informational purposes and is not an endorsement of the source of the story or the TV show. 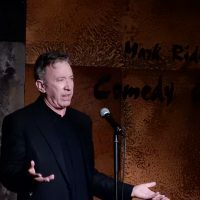 ABC’s sudden ‘Last Man Standing’ cancellation caught everyone off guard, including the show’s star, Tim Allen. And now, the actor is finally speaking out about the way the network handled the unexpected decision. In “The Last Man Standing,” Tim Allen plays a man outnumbered by his wife and three daughters. And according to Fox News, the show was the television network’s second highest comedy this season. It averaged 8.1 million viewers. When news of the ‘Last Man Standing’ cancellation hit, it surprised everyone — including the show’s star, Tim Allen!